There are 115 posts filed in 111 Books in 2011 (this is page 1 of 29). Yes, one of this content free summaries about previous read books – but I think it would be nice if you had a small reading lists with some great books. Probably to most creative marketing ideas I’ve ever read about. Jon Spoelstra has excellent writing skills, it’s so much fun to read this book even if you’re not into basketball. He’s probably what you think a marketing guy should be. Creative, uncommon and full of power. If you want to read about marketing that stands out of common marketing then this is the book for you! Not as loud as Ice to the Eskimos but filled with love and thought about your customers. Show love to your customer and he will probably learn to love you. I think this book is ideal if you work in some sort of service industry where you have direct contact to your customers. But even if you build some product, you can learn a lot about how to please your customer and why pens as advertising gifts probably won’t work. Probably one of the most important books if you got more than one employee. Micheal E. Gerber shows you how you can organize your company so that you don’t have to work in the company but you can work on the company. This book is so full of useful ideas and their implementations that you probably won’t be disappointed. One could say that Built To Sell is a unofficial sequel to The E-Myth. John Warrillow tells this excellent story in this book about a guy who has a advertising company and he wants to sell it. Like The E-Myth this book shows how to make yourself dispensable in your company – and so got more time for other important things. Awesome book, even if you never will sell your company. The best book, I read, about customer development. Ash Maurya explains demonstrates colorful how to find markets, test your ideas and track your objectives. Furthermore, the book is neatly organized and quite short. If you want to start a company then Running Lean should be on your reading list. A book for people how value quality over quantity. The guys from 37signals explain their business philosophy in Rework and it’s excellent. It’s a down to earth approach on running a business – work less, but better – stay simple – hire reasonably. A magnificent book for small and medium sized business owners or new entrepreneurs. Some will already know Derek Sivers from his blog sivers.org. Sivers started CDBaby, a CD distributor for independent musicians, in 1998. He sold it 2007 when the company had $100m in revenue. He tells his story of CDBaby in detail in this book and it’s quite interesting. Sivers was a musician before starting CDBaby and he created a small online shop for his CDs and other musicians asked him if he can offer their CDs, too. After a while more and more musicians asked for distribution and CDBaby grew. He said that after a while he talked to his first employee and said that they maybe need a second employee and he don’t want to grow the company. It’s quite funny how he found a perfect opportunity but didn’t realize then that it was one. 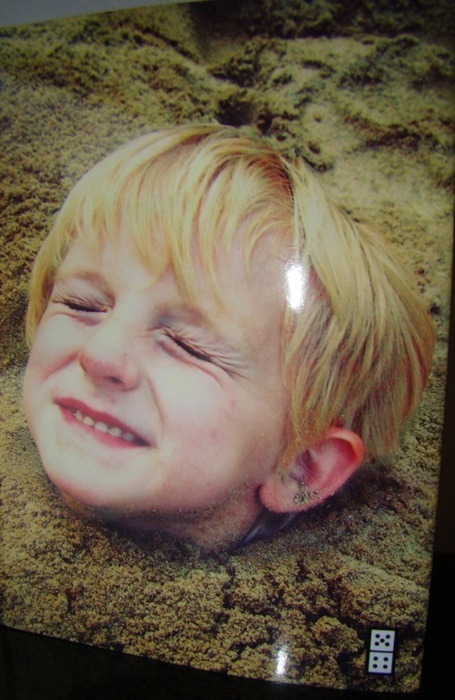 One main objective or like Guy Kawasaki would say the mantra of Sivers was to help musicians. Everything should help musicians to distribute their CDs. If you are the owner of a company you can do with it anything you want. You don’t have to follow some strict rules or even some “common sense”. Sivers avoided lots of formalities and did just the stuff he wanted. For example, often people think that CEOs are handling the business deals – Sivers never wanted to do that – he looked for persons who were motivated and good at doing deals and let them do the work. But he enjoyed coding and thinking about improving his business and this was what he did. He also talks a lot about delegation and overdelegation. At one point he delegated nearly everything to his employees, even the profit-sharing plan. After a while somebody said to him that his employees take all the profit, which wasn’t really into his intention. The result argument lead him to leave the USA and work alone from the UK. Anything You Want is a really interesting story because he talks so much about things that gone wrong but it never appeared that he was unhappy in retro-perspective. I think the main points are that you should somehow help other people in providing products or services to them and that you can do anything you want with your business. All in all a real nice book, quite short but insightful. Do what makes you happy! 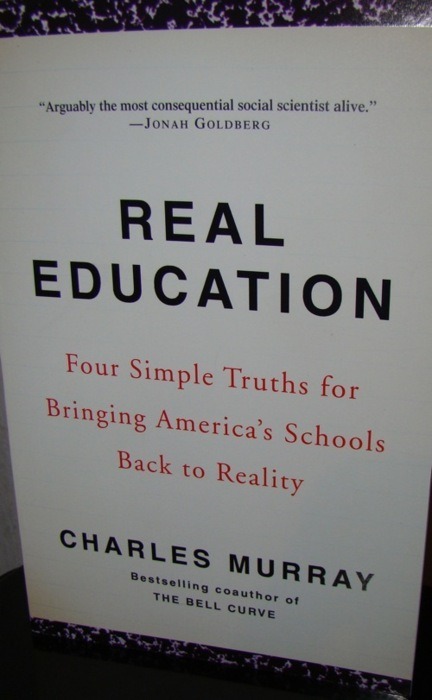 And an other book on education – mostly higher education but also K12. The book consists of two parts. In the first part he talks about the status of education in the US and in the second part he presents his recommendations. A common dream of lots of American people is that everybody can be a superstar. They think that everybody should go to college and that schools are so bad that it’s not surprising that some people lag behind. Is that so? The second problem, which is related to the first problem, is that too many people go to college. It is estimated that only 10-15% of the people have to ability to achieve B- or better in a classical liberal arts education, i.e. languages, maths, science, philosophy, history and psychology. Today, about 90% of all high school graduates want to go to college and 70% enroll. The third problem has to do with the top 10%. These are often not challenged by school and college or miss important things besides their professional education. Murray says that these people learn to be nice but not to be good. What could be done? The first and second problem are related and the answer is choice and individual learning. Murray gave an example of someone who had great dexterity (top 5%) but otherwise was in about the top 30% overall. He could either become a electrician with a median income of about $44k or a manager with a median income of about $88k. At first, the choice seem clear but he probably will be a superb electrician but a below average manager. And now a 25 percentile manager is making about $34k and a top electrician more than $90k. Furthermore, in economic stressful times a bad manager will rather lay off than a great electrician. But how does this student find the alternative that he could be an electrician? Charles Murray got different parts of the solution. The first is to discover and focus on abilities and strengths in school. If you realize that some people got strengths and not everyone is the same then you can start and cultivate them. Together with this discovery there’s a need for individual learning, that is students who are fast should go as fast as they want. There should be more flexibility in learning. I talked about all this stuff previously. The last part is the stronger introduction of certifications instead of general college degrees. A favorite example of certifications proponents is the CPA which is acknowledge in the whole US and got a great deal of information about the ability of accountants. I personally think that certifications detached from college degrees are indeed some possibility for the future because knowledge will become more rapidly outdated and jobs will become more and more specialized. The second part is about the liberal education in college. Some people think that liberal education have to wait till the college. This is pretty much arbitrary. Murray recommends that schools teach about history, science, literature, geography and economics in school, so that everybody will have a solid understanding of it. The third problem goes in a different direction and Murray proposes that they learn especially about ethics. The main questions should be What is good? and How to live a Good life? It’s important because a part of these people will later influence the public as writers, public figures or politicians and they should understand these questions and not just be nice. The second characteristics that should be learned is humility. Lots of clever humanities students that think that they are infallible because they never reached their limits. People studying maths or natural sciences nearly always reach their limits and quite fast but there are lots of people who just rush through the humanities without much trouble. One would expect that this classic from 1911 is a clear contrast to the last book but actually it isn’t so much different. I love reading classics especially in business classics because they most often contain better information that most of new business books. 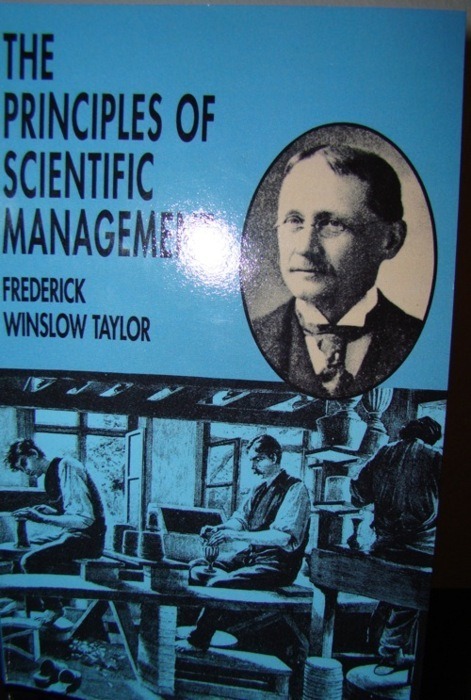 Frederick Taylor was probably the first one who observed production steps and optimized them. 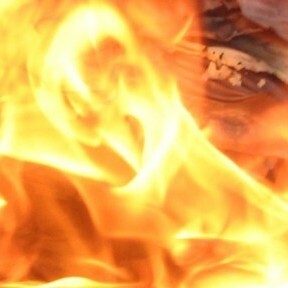 One of the most famous of his actions is the optimization of carrying pig-iron and putting it on a car. He improved the productivity enormously by using his methods – the problem is that most people forgot how he did it and where he applied his methods. How he measured these production steps is quite interesting but I will leave it to you to read it in the book. I want to highlight things that we rediscovered in the last 30 years of so and that Taylor already promoted in this book. His initial motivation is that he wanted to help the employees and the employer, i.e. there has to be a cooperation between the management and the workers. Both parties will profit by working together. I will take an example where he helped optimizing the inspection of bicycle balls. In this case the employees had to work only 8.5 hours at the end instead of 10.5 hours at the beginning – for the same pay – and the quality of inspection went drastically up. He recognized that the inspectors need breaks and don’t have to work for so long. He even said that probably they could work even less and still increase the quality and quantity of the output. How did he achieve this? Besides of analyzing every step of inspecting these balls, he always began with one worker. This and all the following workers will be taught individually and thoroughly. He says that change takes time. In this case it took him 8 years for 120 people to introduce his new methods. This is remarkable if you think about companies today with thousands who try to change their culture and business model and what not in one to two years. Sure, there is legitimate critique of his ideas which he addressed by himself. One is that each movement is optimized which isn’t psychologically ideal. However, he said that this works best with men like oxen and not for more intellectual jobs. Secondly, he says that his method only works for really easy jobs like carrying pig-iron or inspecting bicycle balls. Furthermore, he said that each worker can suggestions for improvements of the production steps and each suggestion should be tested and if it improves the process the individual should be highly rewarded. Why did I find this so interesting? Firstly, he clearly says and already complains about people who don’t understand the basics of Scientific Management, that is benefits for both parties. In contrast to managers who increase working hours and cut pay. Secondly, he never said that this could be used for more intellectual stimulating tasks. Some thing which carried into todays management – especially managers who want to micromanagement everything. Thirdly, the taking of suggestions of actual workers which made Toyota about 50-60 years so famous was by then an old concept which was somehow forgotten. Enormously interesting piece of management history. It is clearly written, Taylor explains his concepts clearly and demonstrates other people using it. I loved it.